When you run a website—any website on any platform—it’s kinda, sorta important that it’s live and available for viewing. That is, if you’re trying to build traffic to your site, a user clicks, and nothing shows up, that’s a big problem. Whether this is the result of server downtime, an error, or something malicious doesn’t matter. It’s all perceived the same way by your site visitor: your content isn’t available. End of story. And often, that’s where your story ends with a potential customer, which is pretty much the worst thing ever. So instead of trying to scramble to repair the damage after you’ve experienced downtime, better to prevent it in the first place, right? Yes, it’s vital that your site be accessible when someone tries to visit it. That’s a no-brainer. After all, if your site is missing, that raises some red flags. Like, perhaps you don’t have it all together. And conveying that kind of image can be incredibly damaging. I mean, think about it: would you want to give your hard earned cash to a company that couldn’t even keep its site online? Yeah, I thought not. It causes major credibility problems. You want to appear responsible, knowledgeable, and professional. Too much site downtime makes you appear to be pretty much the opposite of those descriptors. Again, not good. So yes, a site that’s down too frequently makes a bad impression on potential customers and can make it impossible for people to convert. Can’t make a purchase if your site isn’t available, right? But the problem actually extends deeper than that. Failure to keep downtime under control can make your site look bad in the eyes of the almighty Google, too. That’s definitely not a good thing. You see, Google, Bing, and the other search engines out there make it their aim to provide the highest quality links possible to searchers. The occasional outage isn’t going to do much harm but if this is a regular thing and a spider just so happens to be crawling your site when it’s down, you could definitely see your site fall back in the rankings. This is probably one of the best ways to keep tabs on your site’s uptime without having to manually watch it like a hawk day in and day out. Once installed, a monitoring plugin will do as its name suggests and monitor your site’s uptime. You’ll receive automatic reports, that you can receive email notifications for, and you’ll know immediately if your site is down. This gives you the opportunity to spring into action if need be. 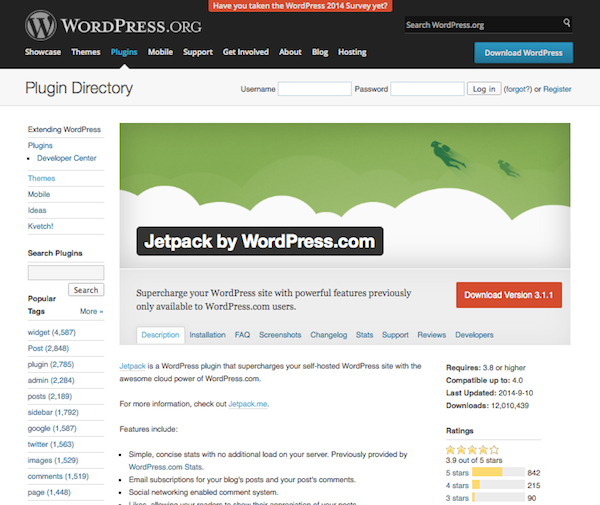 Jetpack by Automattic is—as you likely know—a feature-rich plugin that adds all different kinds of modules to your site. For instance, it includes Publicize, which makes it simple to share your new blog posts on social media sites automatically when they’re published. And there’s also Tiled Galleries for displaying your photos in a variety of ways. But the module of importance in this instance is Monitor, which sends you notifications when your site goes down and sends a followup notification when everything’s back to normal. Monitor will check your site to see if it’s up every five minutes, so you’re always going to know just exactly where your site stands. It’s simple, a part of a plugin you’re likely already going to use anyway, and free. So it makes sense why I’m recommending it then, right? Another way to reduce site downtime is to be particularly selective when choosing a hosting provider for your site. Do your research here. It needs to have a track record of good uptime. Don’t just go for the cheapest or most popular option. Do your due diligence. Which is really best for your needs? 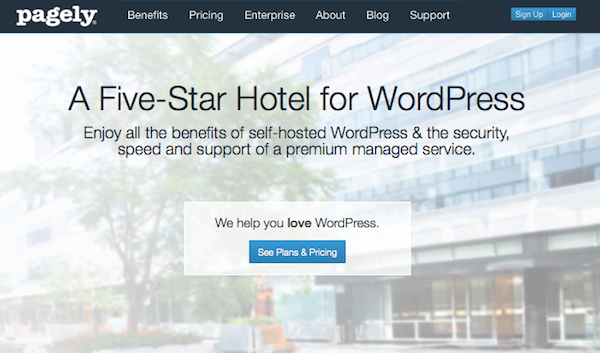 One possible solution here is to use a managed hosting provider that specializes in WordPress sites. The benefits are numerous to taking this approach. For instance, the whole shebang is more stable. Since this kind of host is made specifically for WordPress sites, it can handle the unique stresses and strains such sites impose on a server. Managed hosts, as their name implies, make it a whole lot easier to manage your sites. Everything from core updates to theme/plugin updates to backups can be configured and then carried out automatically without much input from you. It takes the day-to-day grunt work off the developer, which gives you more time to build sites, create content, and otherwise run your business. This kind of host is also notorious for sending out notifications. And I mean that in the best possible way. These hosting providers keep you informed about your site’s status. You can find out about everything from uptime to backups to updates to suspicious logins all thanks to immediate notifications. A really great managed hosting option is WPEngine, which offers a wide variety of features designed to keep your site secure and live for the long haul. It includes EverCache tech for speedy site loading, automatic scans for hacking (and free repairs), one-click backups, site migration assistance, expert support, and more. Keep tabs on your site’s health and uptime with minimal upkeep. Another option is Pagely, which was actually the very first managed WordPress hosting provider out there. So the crew over there definitely has an idea of what WordPress users want and need. Features include daily backups, caching, site security, a CDN, and more. You can easily keep track of everything going on with your site from one interface, without having to go through a ton of manual setup. Pressable is another managed hosting provider that gives you the features you need to run a successful site with next to no downtime. Features include your standard fair like caching, backups, and staging sites. But it also provides a CDN, malware scanning and removal, managed upgrades, and intrusion detection systems, so the likelihood of your site ever being taken down by a hacker is slim to none. 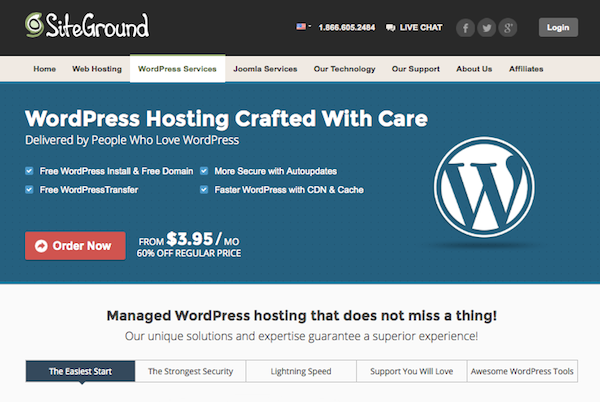 SiteGround offers managed WordPress hosting for those on a budget. It includes the features you need like auto updates, caching, and a CDN, but doesn’t bog you down with anything else. Just the essentials here but that can be a good thing if you’re just starting out or want to test out the managed hosting concept before committing. As you might’ve guessed from the roundup of managed hosting providers above, security plays a major role in site uptime. When you put in the effort to keep your site secure, you prevent hackers from gaining access. Reduce access points and you dramatically decrease the likelihood of someone taking down your site through malware or some other malicious bit of code. So how can you improve site security? Well, there have been many tutorials written on this subject all over the web. You can do things as simple as making sure your login name isn’t “admin,” using a tough-to-crack password, and installing two-factor authentication. We wrote an in-depth tutorial of security best practices awhile ago that you might want to check out to improve overall site security, which can decrease your risk of suffering downtime at the hands of hackers. 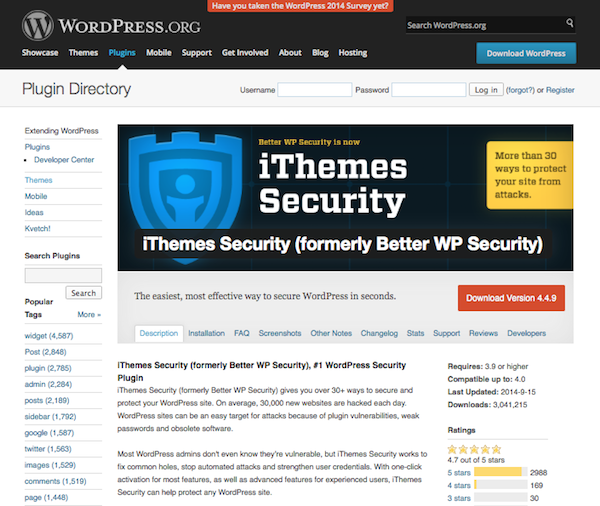 iThemes Security: A total security solution in one simple plugin. Site monitoring is a part of the deal here, and as you know, improved security means better site performance. 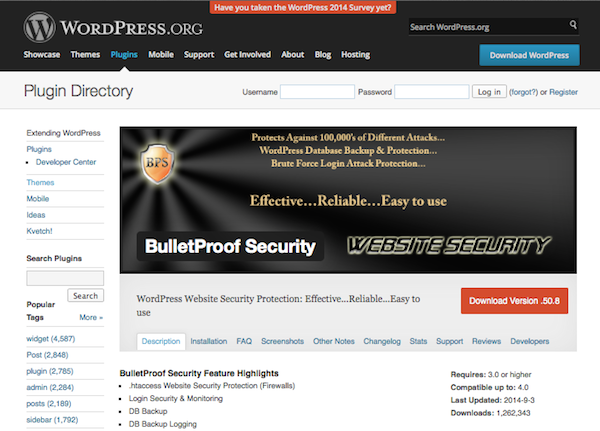 BulletProof Security: Another worthy security plugin contender. Easy-to-use and set up and offers ample protection against common security weak spots. A slow site might not load for some people. And while that’s not necessarily an issue of site uptime, it can be perceived that way by your site visitors. Even if the server doesn’t time out, a slow loading site leaves a bad impression. So why leave a bad taste in your visitors’ mouths when you can do something about it? Don’t be afraid to pull out all the stops to improve your site’s speed. I’m talking everything from optimizing images to using a caching plugin to minifying your HTML and CSS. Use lazy load. Do what you have to do to get your site performing better and faster. You’ll decrease the likelihood of site load lag and give your visitors an all around better experience. It all comes down to how you want to be perceived. Putting a super slow site out there into the world conveys a message that you just don’t really care about your potential customers. And unfortunately, whether that’s true or not doesn’t matter. It’s the old word processing adage, “save your work,” applied to the age of the Internet. Backups are essential and if you’re not performing them regularly, you’re just asking for trouble. Seriously. Site backups make it so that even if your site is hacked, you have a solid copy from which you can restore your site. And if you have a security plugin installed (and you get hacked or someone uploads malware anyway), you’ll be notified as soon as it’s spotted. You can take quick action to repair the problem, which means minimal downtime, even in the worst of circumstances, i.e. a total file wipeout. WordPress site owners don’t really have any excuses about not backing up their sites, either. It can be scheduled to perform automatically, so once you put in the effort on initial setup, backups will occur on their own without you having to lift a finger. And often within management dashboards, you can implement “one-click” backups on the fly, whenever you feel the need. While you can perform backups on your own, I think it’s a much better idea to use a backup service since the frequency of backups can be scheduled and they’re conducted automatically, even if you forget and even if you go on vacation. 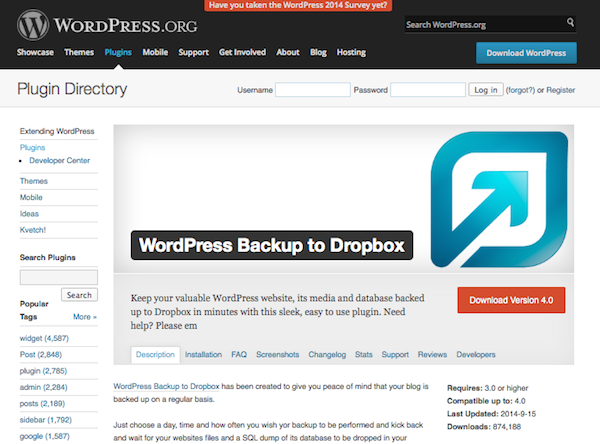 WordPress Backup to Dropbox: Automatically backup your WordPress site, database, and all associated media to your Dropbox account. It’s a total set it and forget it solution and your files are safely stored in the cloud. 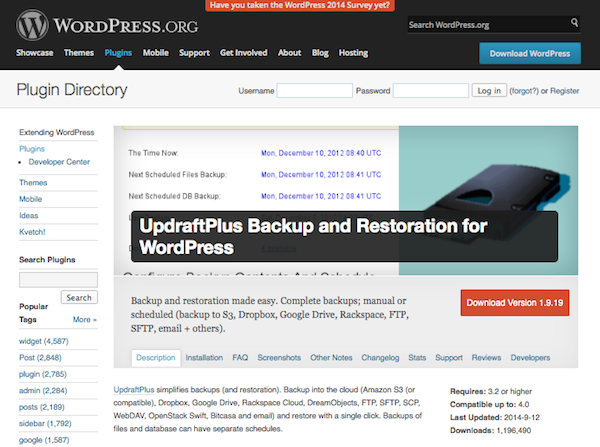 UpdraftPlus Backup and Restoration for WordPress: This plugins lets you complete total backups automatically or manually—it’s up to you. You can save your files to a wide variety of places like Dropbox, S3, Google Drive, FTP, SFTP, and more. 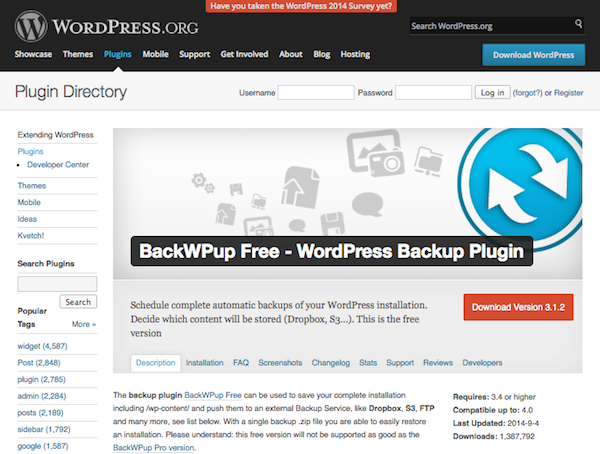 BackWPup Free: A quick and easy way to backup your WordPress installation and files. It saves everything as a .zip for simple restoration and you can store your files just about anywhere you want. Experiencing downtime on any website can be a real problem but there are unique solutions to this potential problem when you’re running your site on WordPress. I’ve covered just a few of those here. Hopefully you now have a stronger sense of what you can do to keep your site up and running for the long-term with minimal hiccups. Remember: this is a preventative game. It’s a much easier task to prevent downtime than it is to fix it (and the damage it could cause) after the fact. Now I’m turning this over to you. What do you do to reduce WordPress site downtime? How do you ensure a positive experience for your visitors every time they click a link to your site? I’d love to hear your thoughts in the comments below! Good hosting, security and speed…. just about sums it up. Another in-depth post with useful links. The UpdraftPlus backup plugin looks good and it scores 4.8 out of 5 stars. Any ET members using it? Just yesterday started testing it along with Backup to Dropbox, seems legit and has one advantage, it zips the files out of the box, while WPB2D requires a paid plugin, this also make UpdraftPlus a lot faster than WPB2D. I have seen one downside with UpdraftPlus, you can’t manually set the time for auto backups, again needs a paid plugin, it starts at the time you configure it. To solve this I just stayed up late and set it at noon, so it will backup automatically every wednesday at around 0:00. Yes I have used Updraft to back up to both S3 and GDrive for over a year now on 4 different sites and I highly recommend it. I’t’s part of my “Standard” kit now. My Hosts (and many others) have cPanel and within that there is Installatron or Softaculous for quick install of WordPress or other scripts. Best part is both Installatron or Softaculous have a BackUp and Recovery feature, scheduling and rotation too. The added bonus is One less plugin needed by WordPress, and we all know the benefits of using minimal amounts of plugins – right?. Hi! I prefer to use BackWPup – it has different approach to backup. It’s automatically generate all backups of my and client sites in a single dropbox account on a weekly basis. It is very easy in setup and maintaining. Does anybody have any experience with the premium version of the Wordfence security plugin? How do you like it? I haven’t used the premium version but the free version is superb, I prefer it over the “bigger” security plugins. 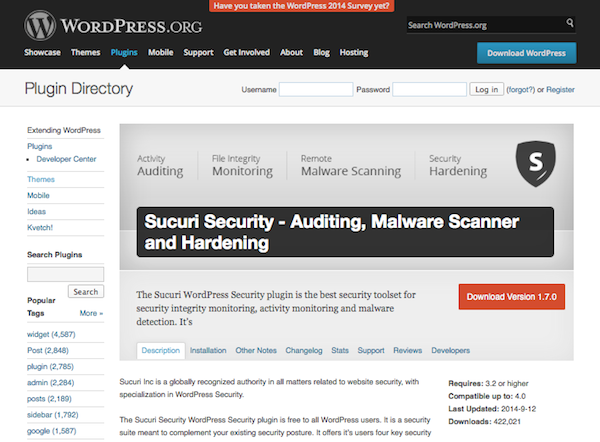 Wordfence is an awesome security plugin. The free version is great but the paid version gives a few additional features such as country blocking that works reasonably well. It’s all I use now days. Thanks for the article Brenda. It was something I was looking for recently. I love seeing plugins I already like on this blog! Sweet info about the wordpress hosting. I was thinking about trying out one of those services for good experience on different platforms. Oh, & hurry up and release EXTRA, kill’n me smalls! I think about it when I wake up! lol… just kidding…. kinda. Great post. Another (free) service I like to use is http://uptimerobot.com/ for monitoring uptime and downtime. It’s always good to get a notification when the site is down. I’m surprised there was no mention of either Pingdom monitoring service or CloudFlare’s various services. We use both on our 50+ websites. Very good post! One thing not covered is creating a development, staging, or sandbox on your computer where you can do all your damage with new plugins, upgrades, updates, and even patches. In essence development, staging, or sandbox are all the same thing — it is a duplicate of your production held in a completely different location (server, laptop or PC) where anything new introduced into the environment can be tested for compatibility issues as well as protect your production from any hiccups. After a fiasco with 3 major updates in less than one week, and NOT having the above setup, we discovered we had several issues to address the were affecting the performance of our system in a very major way — and ALL on our live account…. We discovered a plugin and a free application (pro version available as well) that would have prevented our audience from seeing us offline in the last few days. A plugin that makes a full backup of your present system for offline storage and use, including your database. The instructions are simple and the full process will depend on the size of both your program files and database combined. An installer file is created with it, providing a means to create your duplicate offline system. The free version is all a single site will need, the pro version will manage multiple sites as well as offer automated processes that would replace the manual processes in the free version. We’re not sure of the complete free package as we have only just discovered this application however our download of ServerPress provided an Apache environment, full PHP and MySQL programming as well as the latest WP version. This is a great, comprehensive post. Many of these points people skip when developing a wordpress site. By incorporating the above, you really do get a pretty rock solid foundation for your site. It is also cool to note that hosts like WP Engine actually provide backup systems as well, reducing the need for plugins or other external sources. 1. Use a CDN – Many CDN’s provide the necessary tools for optimizing a website and its overall performance, in addition to its primary task of making components available globally. A good CDN will have some neat additional features that would definitely add value to the uptime side of things. 2. Reduce bulk – This is more a practice than a tool, but reducing the overall bulk on your website will prevent 1 thing causing a chain reaction. For example, reduce the number of plugins where possible. Things like SEO optimization and content management should be priority, while others like social sharing and such should be researched to find what would be the lightest. I’ve had instances where plugins have caused issues for a whole site and its load time. I can’t wait for Monarch by Elegant Themes for this particular reason, as it should be an interesting direction for social sharing. 3. RIOT Image Optimization – You mentioned image optimization already in your article, but I thought I’d mention a specific useful tool. While there are an abundance of wordpress plugins, I personally prefer the RIOT Image Optimization Tool which is installed on your computer, and is essentially one additional step before uploading to wordpress. I have found results to be 100 times better and I don’t need to add another plugin to the site. The only draw back is that its currently only available for windows. I mentioned: “4. Be Mindful of Site Speed” to a client yesterday after finding their site I built (but hosted on their very basic shared hosting) to be loading very slowly. I tested it independently through http://tools.pingdom.com/fpt/ and found it took over 11 seconds to load. However, when I mentioned it to my client he didn’t seem phased by this at all and said that if he finds a site he visits loading slowly he assumes it’s his connection to the internet that’s playing up. I run several wordpress websites on cloud server and I constantly monitor the number of security attacks to my server/websites. Trust me. It is really a jungle out there! Nice article, but you left out some important things, like making sure your theme is well coded and all plug-ins are well coded. I find that when I have a problem, it’s usually from a plug-in. @Chook makes a very good point. Installatron can back WordPress up to FTP or Dropbox without requiring a WordPress plugin. With 2 GB free, Dropbox has always been an excellent place to back up. And, in case you didn’t notice their new paid plans, you can now get 1 TB for under $10 per month. So, even for multiple sites, it’s a much more affordable option now. And, if you’re using Installatron via cPanel, your host may also provide automatic or manual backups for your whole cPanel account. The more layers of backup, the better. Great article, pretty much sums up all the requirements. I have even heard caching plugins help a lot in speeding up the sites. What did it for me was moving over to a managed hosting, they took care of all of these aspects. Great article. I really wish you could have talk more about the site speed but everything else was great. After I so what webhosting solution you gave I think I will try siteground for my new websites. The article is good, but I have seen it somewhere else in other places. Am I right? Following the comments, I think it is even nice that they do not use Pingdom as it is not the only tool in the world. I prefer Anturis with the same qualities and options, but easier to use and implement. For me what helped was, moving not just to a managed wordpress hosting but moving to a managed VPS wordpress hosting. Some of the best managed hostings still provide shared hosting. Some of the hostings I found which offer Managed VPS WP hosting were : WPOven, getFlywheel, lightinbase to name a few.